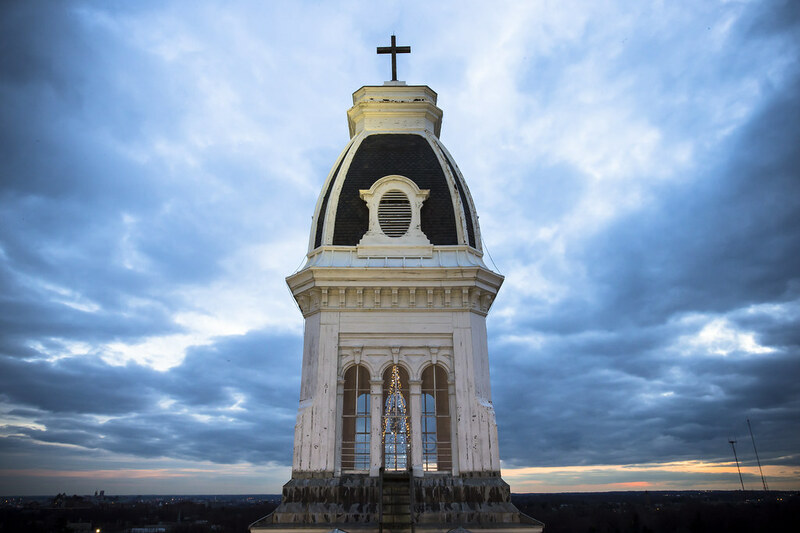 Notre Dame of Maryland University is a community that cherishes every opportunity for collaboration. The latest result of such collaboration is the Legacy Leaders Group, an initiative instituted by Residence Life and Student Engagement to enrich the overall Notre Dame experience. Over the next few months, current and prospective employees from both departments will be undergoing a new and improved application process for the student leadership positions they wish to hold in the 2018-2019 academic year. Current paid and stipend positions include community program assistants, desk assistants, orientation leaders, peer educators, resident advisors, residence life manager, and summer resident advisors. Furthermore, all positions are open to rising sophomores, juniors, and seniors in the women’s college, as well as students in the College of Adult Undergraduate and graduate program (except for the resident advisor position). In addition to the streamlined application process, students will also have several opportunities to learn more about how the group plans to promote team-building skills and professional success. The key to the success of any new program is the dedication of its leaders. Dawnielle Causbey, the Director of Housing and Residence Life, and Michelle Evans, the Director of Student Engagement and Community Programs, have dedicated their time and effort to ensure that this collaboration will provide the Notre Dame community with an invigorated spirit of leadership. Causbey describes the purpose of this new initiative as “preparing students personally and professionally” for the various leadership roles available on campus. At Notre Dame, many students are extremely busy and engaged in several activities and program which often makes it difficult to find the time to get to know the people they are working with. With the streamlined application process, students will be able to evaluate their own leadership and professional skills to determine which position best suits their interests. The Leadership Summit and Group Process Day scheduled for the coming months will also provide a more interactive way for students to further develop these skills. However, student leaders are expected to already possess qualities that will help them be successful in their positions—from having a creative spirit to carrying problem-solving expertise. Evans is also looking forward to seeing the results of the Legacy Leaders Group over the next few months. When asked about the initial ideas for this program, she described how she and Causbey “see these positions as a team” and how everyone “looks after one another.” For Evans, building a legacy is one of the most important ways a student can enhance their future once they leave Notre Dame. The Legacy Leaders Group not only strives to bring the Notre Dame community closer, but to also help students realize their full potential. Every position available in this program enriches the student experience on campus, allowing students to be more involved in making their time at Notre Dame the most rewarding it can be.